Mark Badgley and James Mischka have come a long way from their early days working from a loft in New York's Hell's Kitchen to their present-day offices in a landmark building on Seventh Avenue in the Garment District. Tuesday they'll be here at The Hermosa Inn in Paradise Valley, AZ to talk with guests and sign copies of their book, American Glamour. 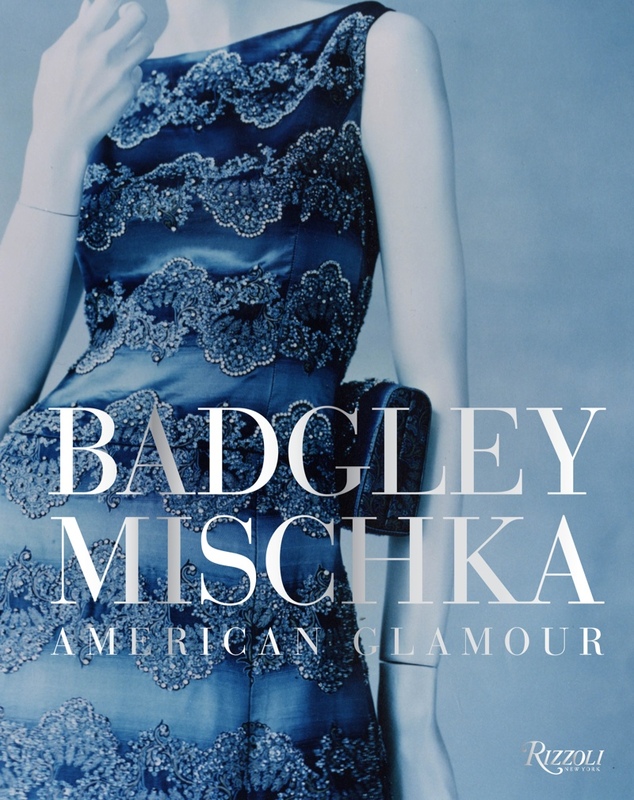 The 225 silver-leafed pages of this gorgeous tome by publisher Rizzoli shows why Vogue named Badgley Mischka one of the ten most important names in fashion. Kate Mara, Taylor Swift, Beyonce, Dame Helen Mirren and Angelica Huston are a few of the celebrities photographed wearing Badgley Mischka's stunning gowns on the red carpet. Their mantra of "one zip and you're glamorous" sums up the American design duo's fascination with 1940s Hollywood glamour which they combine with modern day simplicity. Known for intricate beading, clinging silhouettes and fishtail gowns, the designs of Mark Badgley and James Mischka make a woman feel glamorous. Intricate beading is a signature of their look and they have refined a unique process over the years to achieve a certain lustre and color from the beads. One grand dress can take up to five people five days to sew on tens of thousands of custom beads and pearls. Martini-worthy cocktail dresses are celebrated in one chapter. Badgley Mischka's first collection consisted of twenty black dresses (and one red) that they thought their friends would wear. The right dress, they believe, can take a woman anywhere. It wasn't long before fans of their evening dresses were begging for versions in white and ivory to be worn as wedding gowns. Launched at Bergdorf Goodman in 1997, their sensual and romantic dresses are sought-after works of art that require the same intricate hand detailing of their evening gowns. The full-page photographs show stunning designs from the collection through the 2015 season. Come and meet this American design team, and talk fashion -- and Hollywood! -- over wine and hors d'oeuvres at The Hermosa Inn. Tuesday March 8, 5-7 pm, $40. Space is limited. Call 602.955.7878 to reserve your place.